Taking Badi harad on a regular basis will help you in keeping your health fit because it can treat many issues, like weight gain, constipation and many others. Add this herb to your daily regimen! Badi harad is one of the most popular herbs. It is also known as Black Myrobalan. It is a tree that is very long and has 8 to 12 ft. thickness. The fruits that are plucked when fully ripe are called Big Harad or Badi harad. Every fruit possess one seed. The shedding of the leaves takes place in February to March, while flowers are obtained in April to May and also fruit in winters. 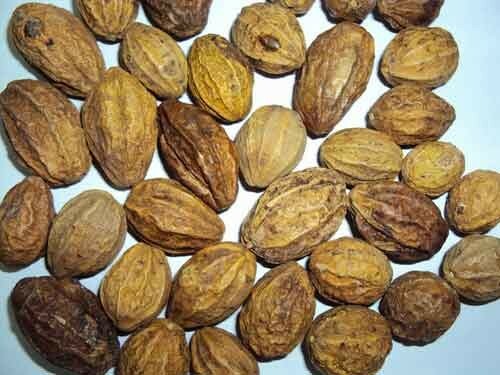 The fruit of Badi harad has 24 to 32% tannin. Along with, there are 18 amino acids and succinic, phosphoric and shikimik in small quantities, present in this herb. Badi harad can be crushed into powder, and then this powder can be taken along with the mixture of sugar candy. Moreover, its seeds are also used to make a decoction to use for treatment of the bleeding piles.